While your organization may consist of a single instructor, you can also build a training team. 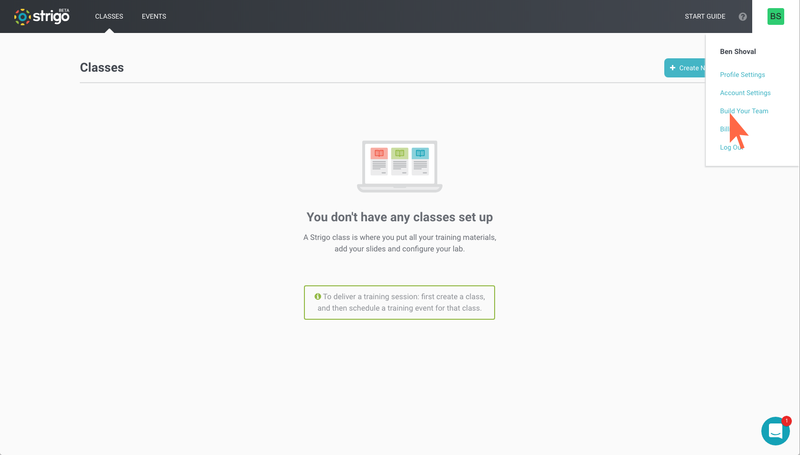 The training team can create classes and host events independently from the organization's owner, and optionally, as per user permissions, invite other instructors and set their permissions. Adding team members can have great benefits for your training quality and scale. On top of hosting their own training events, team members can be set as Training Assistants (or TA's, for short) in your training events. Training assistants can help students throughout the course by connecting to the labs and helping them (hands-on), and get permission to present to the students. To be able to invite members, you'll first have to create your team. Click "Build Your Team" and follow the instructions to create the team. 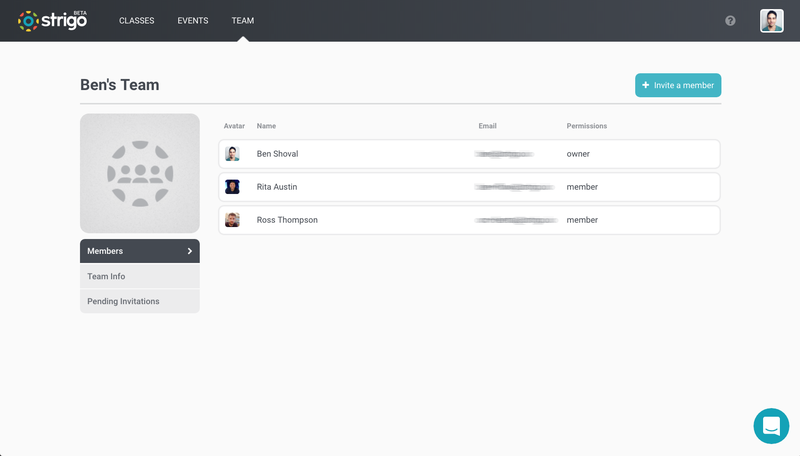 You can invite new members by clicking the "Invite a Member" button at the top, this will send an email invitation to the address you specified. Once an invitation is accepted, the new member will show up in the members list. 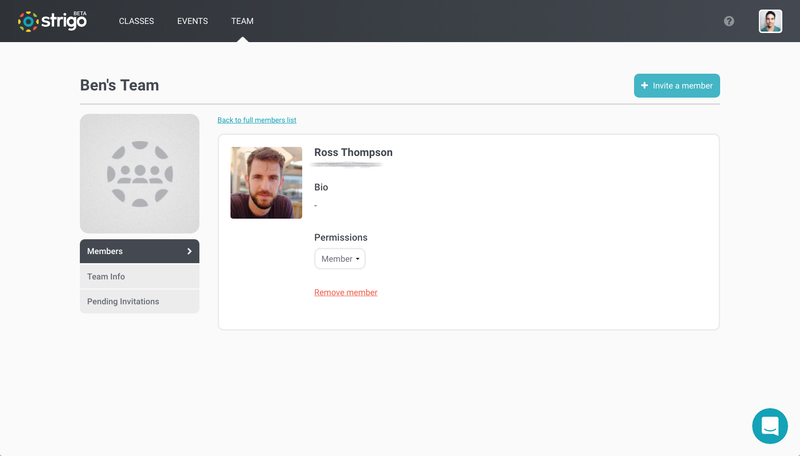 Managing pending invitations is done by clicking "Pending Invitations" (in the left menu). At any point in time, you can click the "Cancel" button on the right of an invitation to cancel it..
Clicking a member will allow you to view more information on them, manage their permissions or remove them from the organization.